An innovative place where partners are mobilizing around the idea of how to love their City Into Greatness. Grand Rapids is a place of two extremes. There is increasingly emerging two very different stories about the city and its history. These challenges are overlaid with national and global political tensions. This has caused a great deal of pain for many who have been historically marginalized. On one side of the story there is estimated to be over 1,000 millionaires residing in the greater region (Levin, 2016). Further, Grand Rapids was ranked the number one city in the United States to raise kids by Forbes Magazine (Van Riper, 2012). Even more, the city has been ranked as one of the most philanthropic areas in the United States (Raghaven, 2013). Further, the institution of the Church is vast, visible, and powerful in the City of Grand Rapids. The Christian Reformed Church of North America is headquartered in Grand Rapids, with 250,000 total members in the United States, of which 78,000 of them in Greater Grand Rapids (Association of Religion Data Archives, 2010b). The Reformed Church of America has 154 congregations and 74,000 members in West Michigan (Association of Religion Data Archives, 2010a). Similarly, Grand Rapids’ social service and child welfare agencies are dominant in the region. In fact, Grand Rapids has generally been known to have over 2,800 nonprofits. However, despite the affluence, giving, and nonprofit services in West Michigan, the outlook in education, employment, and long-term quality of life for many urban citizens looks bleak. Forbes Magazine just recently released a study of 52 metropolitan cities in the United States and found Grand Rapids to be the second worst city in the country for African-Americans to live based on business ownership/entrepreneurship, median income, and home ownership (Kotkin, 2014). Similarly, the Huffington Post named the Greater Grand Rapids area as the fifth worst city in the country for Black Americans (Frohlich & Stebbins, 2015). As one urban Grand Rapids resident said, “The city has prospered but many people have been left desolate” (source unknown). Even more, youth living in the urban center of Grand Rapids are among the most impoverished young people in the country. According to the latest Census figures, 43.7% of Grand Rapids children under the age of 18 live below the federal poverty line, compared with just under a quarter of all Michigan children (United States Census Bureau, 2014). The unemployment rate for youth ages 16-24 in Grand Rapids recently stood at 25.35% (Bureau of Labor Statistics, 2016). Grand Rapids has a poverty rate of 26.8%, compared with the national poverty rate of only 15%; and 12.3% of the Grand Rapids poor live in extreme poverty (which is less than half of the federal poverty level) (United States Census Bureau, 2014). Worse yet, over one-third of African-American families live below the poverty line compared with only one in ten Caucasian families (Black Demographics, 2014). Yet, with every challenge comes opportunity. The opportunity to do something different is now! However, it will mean some major paradigm shifts; one from charity to entrepreneurship, from rivalry to peacemaking; and from transactional to transformational. Specifically, the Grand Rapids Center for Community Transformation was formed as a way to demonstrate unity among a diverse group of leaders and sectors with a similar heart to join the work already happening in the city. 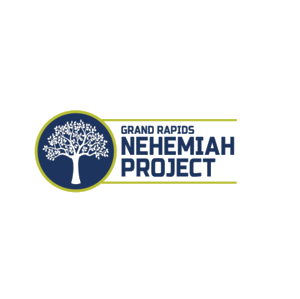 This group is a partnership between business, church, social enterprise, and non-profit organizations to create opportunities for transformation through meaningful relationships, work, education, and community development. Children need families, families need communities, and communities need the city. GRCCT is a place where all of these come together and opportunities are created for transformation. A social enterprise coffee shop hiring local residents and providing a space for community relationship building around good coffee and food. Rising Grinds Café (RGC) is dedicated to becoming Grand Rapids’ best community-based coffee shop. Our social enterprise model utilizes business to meet community and social needs. This start-up challenges and breaks social barriers, creating a place where every guest and employee feels recognized, welcomed, and valued. Located in the Madison Square neighborhood of Grand Rapids, MI, RGC is the only specialty coffee shop in the city committed to seeing millionaires and urban youth both equally comfortable to relax, be themselves and connect over coffee. 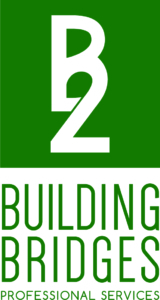 In 2009, “Professional Services” was added to the Building Bridges name as staff began seeking additional service contracts to cover program costs and create sustainability. Increasing opportunities for year-round youth employment in 2010 required additional marketing initiatives. Today Building Bridges Professional Services is a fully sustainable enterprise and continues to consistently improve services offered to the community. Since 1993 Bethany has been growing and expanding its development opportunities for at-risk youth through vocational training, life skills, mentorship, case management support, etc. A wide-variety of employment options are offered in both individual and group settings to assist with career exploration, résumé building, interview training, and job searching. Youth may also be linked with internships, job shadows, and paid employment positions in and around Grand Rapids, Michigan. Opportunities for construction and landscaping, vocational training, and job placement are also available through Building Bridges Professional Services and YouthBuild. Opportunities include educational workshops and assistance with college planning, the admission process, financial aid applications, GED courses, high school completion/credit recovery, finding student housing, navigating the leasing process and navigating community resources. Through our mentoring and leadership development program, youth will learn to understand what it takes to be a leader and are provided opportunities to embrace their own leadership skills and qualities. Youth are also challenged to get involved in their community as a venue for growing their skills and can also be matched with professional mentors, spiritual mentors, and academic tutors to support them. Courses are regularly provided to strengthen youth by building healthy decision-making skills, teaching financial literacy, and parenting/co-parenting skills. These classes will assist youth in personal development, transition skills, relationship building, and learning about connecting with their community. The Grand Rapids Center for Community Transformation is always looking to engage with other national and global organizations that help us further refine and expand our work. Specifically, GRCCT holds association memberships with the following. GRCCT is also the Leadership Foundation of Grand Rapids and holds membership within the larger global network of organizations seeking permanent city change. An association of organizations committed to wholly supporting under-resourced communities. 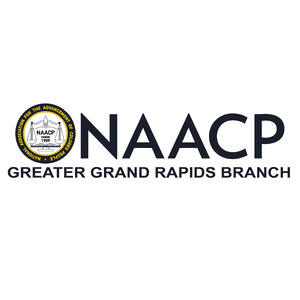 GRCCT holds national membership and was an implementing partner in developing the Grand Rapids CCDA network. Street Psalms is a resource center for life-giving perspectives and practices that foster transformation in vulnerable urban communities.